After one taste, we won’t need to remind you of the fresh cranberries used to make this classic condiment. 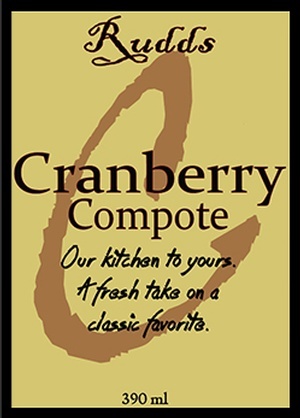 Only by using fresh cranberries, can we give our Cranberry Compote the distinct crunch to the bite, and a texture that needs no gelatin or thickening. Mildly peppery, it is true to it’s roots, but with a freshness you can’t find in a can. Taste the difference fresh makes, we’re sure you’ll agree. Proudly serving Winnipeg & the surrounding areas, with all your specialized catering needs.